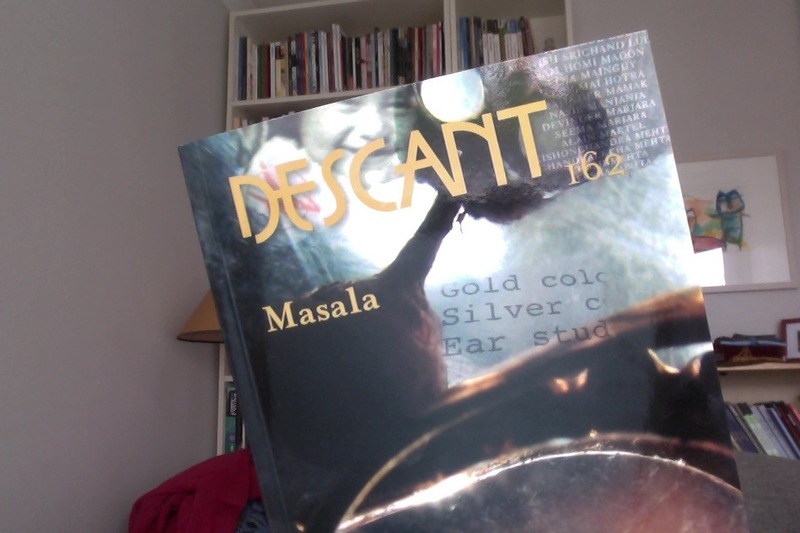 Descant Magazine has just published its issue 167 “Masala” on the South Asian diaspora. My piece “Even in Ruin” is in it, an edited, reworked section of my novel-in-progress, a literary adventure based in Sri Lanka during the civil war. I’m very excited about this publication, and I’ve just started reading the other stories in the magazine, some truly wonderful pieces in here. As guest editor Pradeep Solanki says, “Masala is a heady concoction of spices..” so too this wonderful edition of Descant. 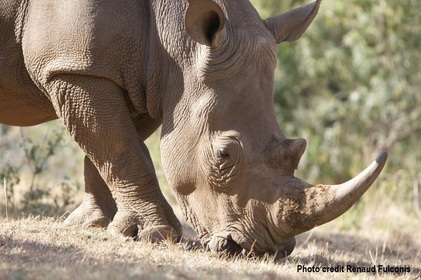 One of my short stories, La Llorona, will be included in Springbok Publications‘ Wildlife Anthology – All profits from the sale of the book will be donated to Save the Rhino International. 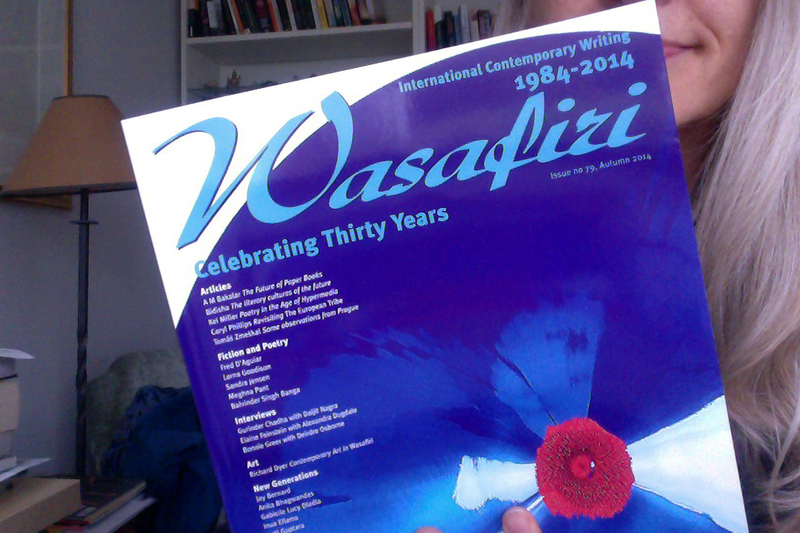 Descant Magazine has accepted a piece of mine for its issue “Masala” on the South Asian diaspora. It’s an edited, reworked section of my novel-in-progress, a literary adventure based in Sri Lanka during the civil war. Publication date is this autumn. And my flash story, “Minotaur” was short listed for Lightship Publishing’s The Lightship International Flash Fiction Prize and will be published in their anthology in November. My time at the Banff Centre was wonderful. What a perfect place for artists and writers! I’m very pleased with my mentor, Marina Endicott. The online portion of the Wired Writing program is well underway and I am more than happy with how things are going. What a blessing to have Marina’s insightful comments and editing, and to have a deadline each week to force me to get to work… Marina feels I should have a final draft by the end of the mentorship period (end of March, 2012). 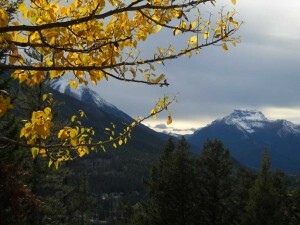 Here are a few more pictures from the Banff Centre. 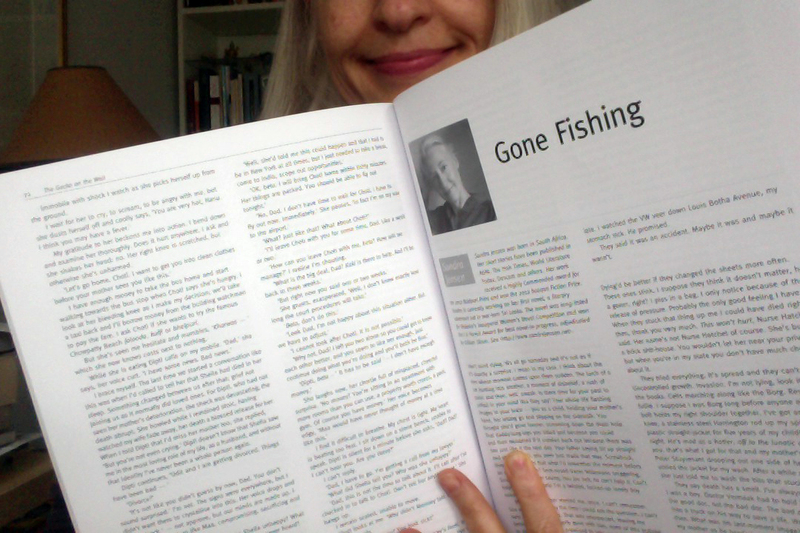 In the meantime, an early draft of my novel is long-listed for the Mslexia Women’s Novel competition. Further results will be in January, 2012, and I am lucky enough to once again be accepted for the Sirenland Writers Conference in Positano, Italy next year. (See my earlier blog on Sirenland). 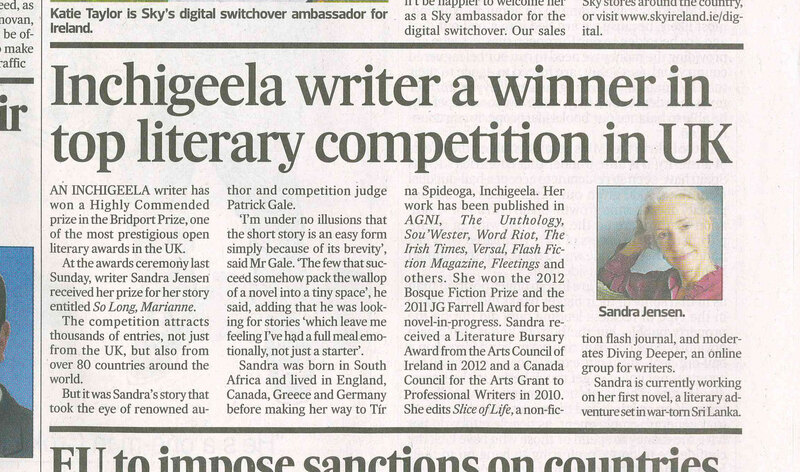 A flash story of mine was published in The Irish Times, “The Promise” and also in 100 Word Story, “Workout“. Wishing everyone the best for the holidays and see you in 2012! The writer Keris Stainton has created an auction of over 150 literary lots to raise money for Japan. There are a number of exciting lots to bid for: signed copies of novels, your name (or your pet) as a character in an upcoming novel, coffee and cake with a literary agent turned author, mentorships and manuscript critiques. I have offered two lifetime memberships to Diving Deeper. They are listed at number 6. Bidding closes on March 20th, so please go and support the project.